With the energy, wit, and singularity of vision that have earned him a reputation as a celebrated and charismatic musician, The Vine That Ate the South announces J.D. Wilkes as an accomplished storyteller on a surreal, Homeric voyage that strikes at the very heart of American mythology In a forgotten corner of western Kentucky lies a haunted forest referred to locally as "The Deadening," where vampire cults roam wild and time is immaterial. Our protagonist and his accomplice-the one and only, Carver Canute-set out down the Old Spur Line in search of the legendary Kudzu House, where an old couple is purported to have been swallowed whole by a hungry vine. Their quest leads them face to face with albino panthers, Great Dane-riding girls, protective property owners, and just about every American folk-demon ever, while forcing the protagonist to finally take stock of his relationship with his father and the man's mysterious disappearance. 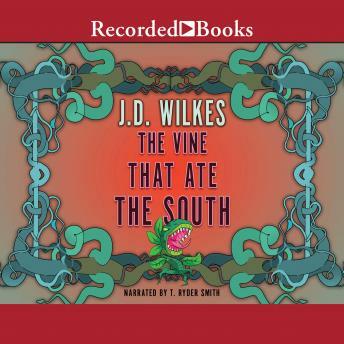 The Vine That Ate the South is a mesmerizing fantasia where Wilkes ambitiously grapples with the contradictions of the contemporary American South while subversively considering how well we know our own family and friends.